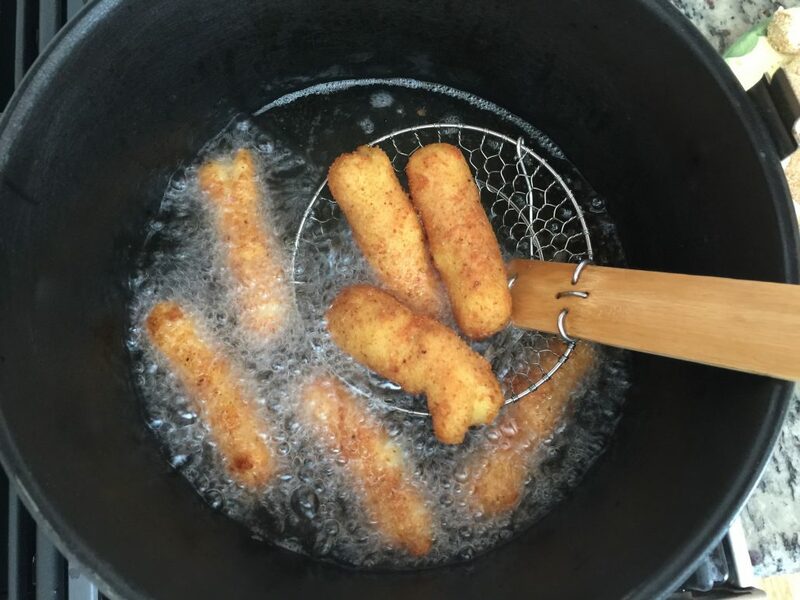 This German Croquettes Recipe is easy when following the step-by-step instructions. A Croquette is a potato roll covered in breadcrumbs and fried. This is a good side dish. Bring the potatoes to a boil in a saucepan. Let them cook for about 15 – 20 minutes. 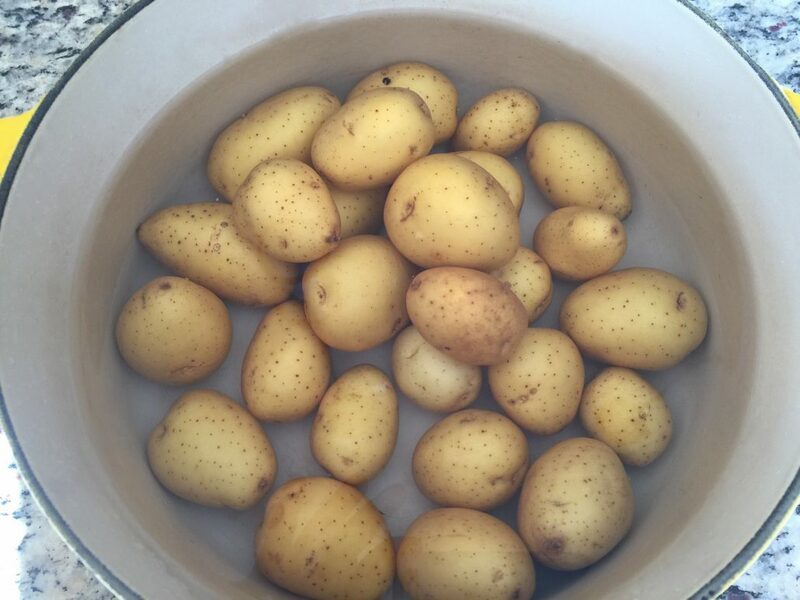 Place the potatoes in a colander and rinse under cold water. 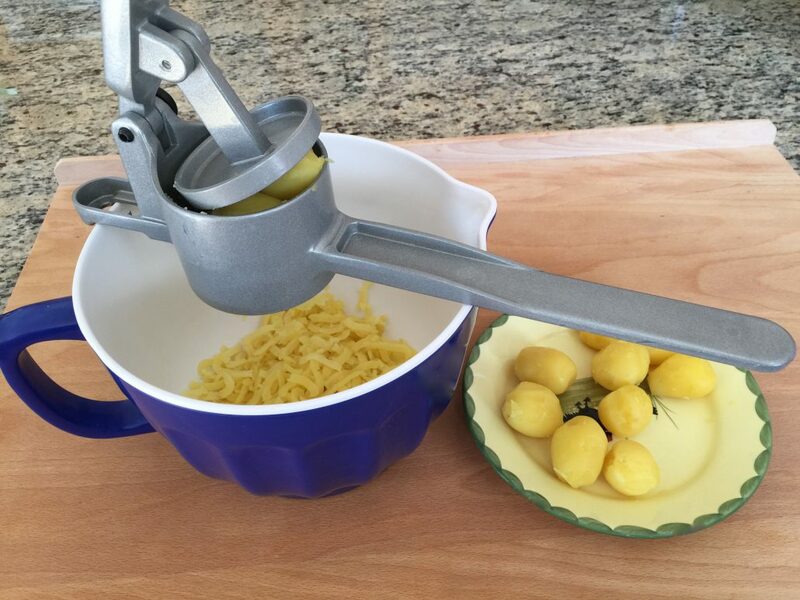 Peel the potatoes and press them through a potato ricer (potato press) while they are still warm. Let the potatoes cool down completely. Separate the eggs with an egg divider. 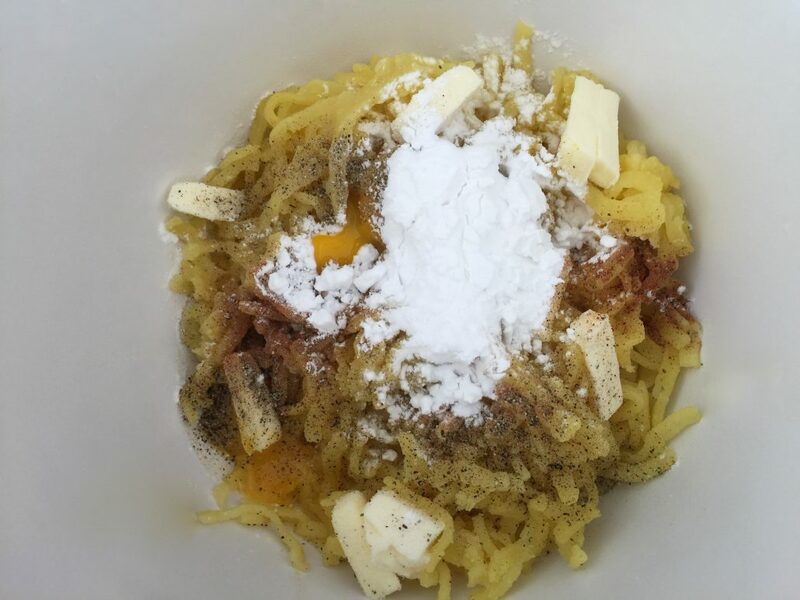 Keep the egg whites in a small bowl and add the yolks to the potatoes. 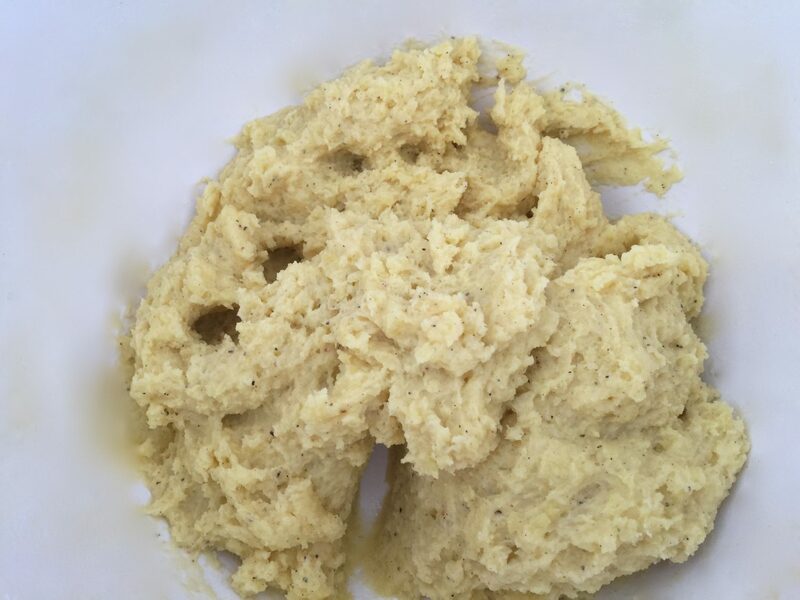 Add soft butter, potato starch, salt, pepper, and nutmeg to the potatoes and mix the ingredients with a handheld mixer using the kneading hooks. Let the potato dough rest for about ½ hour. If the dough is too sticky, add more potato starch. 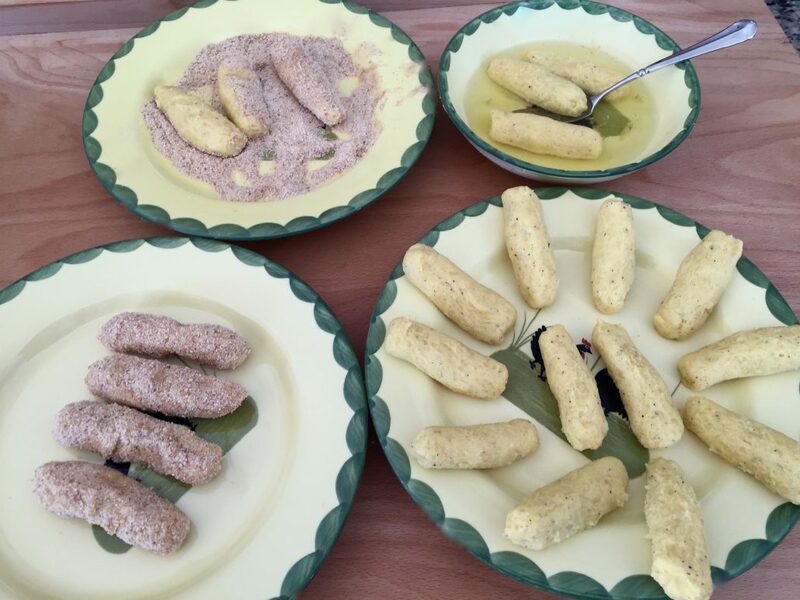 Use about one tablespoon of dough to form little rolls (croquettes) about 5cm — 2in long with wet hands. Flatten the ends of the croquettes to ensure the rolls have an even thickness. 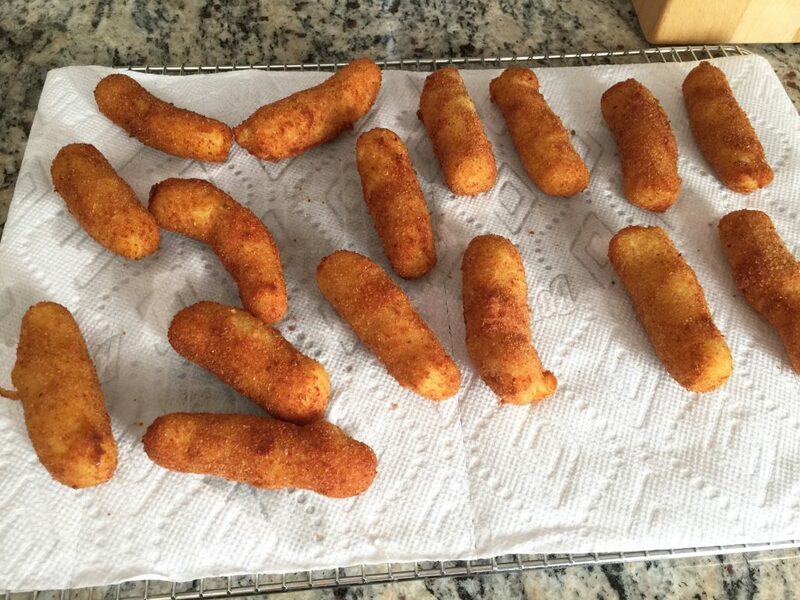 Place the croquettes on a plate. Beat the egg whites slightly with a fork. Spread the breadcrumbs on another plate. Roll the croquettes in the egg whites and then in the breadcrumbs and place them on a plate next to the stove. Heat up the oil in a saucepan, but make sure it is not too hot. Use enough oil to enable the croquettes to float in the oil. Fry them until they are golden brown. 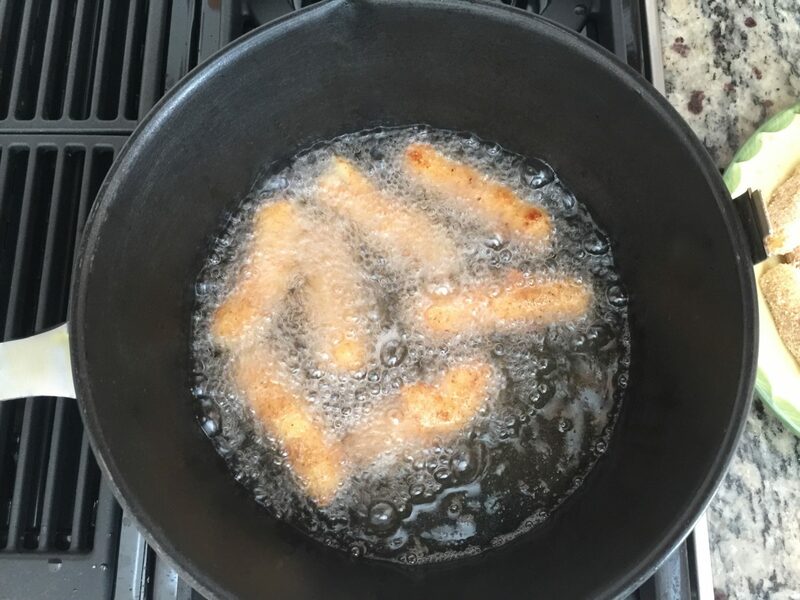 Remove the croquettes from the saucepan using a spider strainer and place them on a cooling rack covered with a paper kitchen towel. Serving suggestions: As a side dish to steaks or to Oma’s Cordon Bleu. To try the Traditional Dauphine Potatoes click here, the Classic Potato Pancakes click here, the Potato Casserole Recipe click here and the Sweet Potato Recipe click here. Homemade German Rum Balls Homemade Beef Broth Recipe! So easy to prepare!